The Mothman Sightings & Stories – Are They True? On a cold night of 1966, the small town of Point Pleasant got lively as the sighting of The Mothman started popping up. The creature, now known as The Mothman, has been seen for the past six decades in the United States as well as around the world. The Mothman is often seen in places where disaster will soon strike. The sightings were seen a month before the 9/11 attack and witnesses have claimed to see The Mothman before the Chernobyl Nuclear Disaster. people wonder if The Mothman shows itself to warn us of the coming disaster or if The Mothman brings the disaster to us. Here, we have tried to compile information on The Mothman so that you too can correctly guess the identity and intentions of The Mothman. People now wonder if The Mothman shows itself to warn us of the coming disaster, or does it bring the disaster to us. Here, we have tried to compile information on The Mothman so that you too can correctly guess the identity and his intentions. What Does The Mothman Look Like? The name ‘Mothman’ is popularized by the newspapers, but the witness accounts describe a winged humanoid creature that can walk upright. The creature is said to be 7 feet tall with a wingspan of 10 to 15 feet which can allow it to fly faster than 100 mph. This physical description is how most people have noticed The Mothman. The described color of the creature, however, varies between brown, black and gray but in their darker shades. There are also some who state that it has glowing or reflective eyes which are either on its head or its chest. Another detail about The Mothman which is mysterious is the feet which have not been clearly described in all the accounts of the sightings so far. The walking gait of The Mothman is shuffled like a penguin. Its method of flight is unusual as it has never been seen flapping its 15 feet wings other than the initial takeoff, which it does by unfolding its wings and going straight up like a helicopter. However, unlike a helicopter, The Mothman is said to take off extremely quickly. It’s also said that The Mothman enjoys chasing cars, even flying in front of them and at times hitting their roof. On November 12, 1966, The Mothman was first sighted in a cemetery near Clendenin, West Virginia. The creature was seen by five men who were digging a grave for burial when they noticed something strange. They saw a brown winged creature taking off from the nearby trees and were clear that it was not a bird but something humanoid. 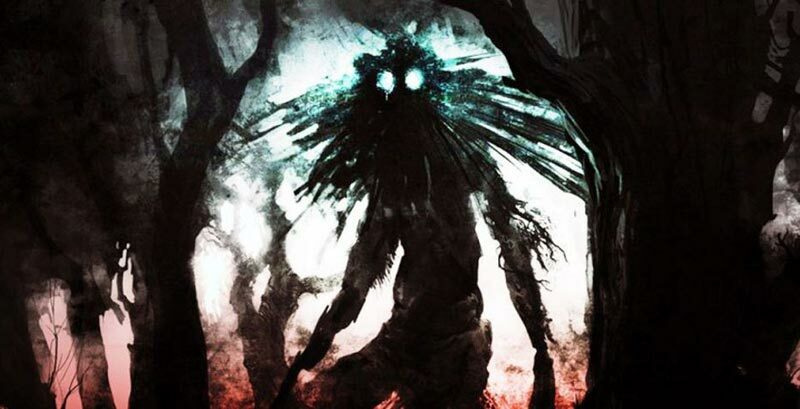 Although The Mothman has been sighted around the US, most of the sightings have occurred near the old West Virginia Ordnance Works area, also known as the TNT Area. This is where, in the Second World War, ammunition and dynamite were produced and stored. There was a major pollution to the ecosystem due to the harmful chemicals that seeped into the soil and water sources nearby. Fishermen reported that chemicals had seeped into the water in 1979 and the TNT Area was announced to be one of the most polluted sites in the US by 1983. 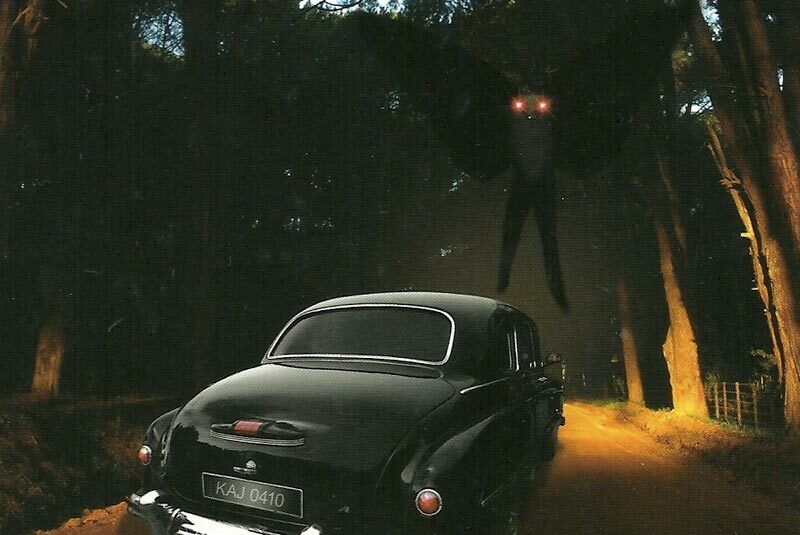 The second sighting of The Mothman was only three days after the first sighting, on November 15, 1966. This time, two couples, Roger and Linda Scarberry, along with Steve and Marry Mallette were driving Roger’s black ’57 Chevy Bel Air saw the scary creature. Near the old North Power Plant, Linda noticed two red glowing eyes looking back at her from the dark which caused Linda to scream in terror. After the others saw what had scared Linda, they too noticed a humanoid who was 7 feet tall and had folded wings on his back as well as a pair of red, sinister glowing eyes. After realizing that the creature was not a typical bird, they made their getaway, only to find that the creature followed them on Highway 62 all the way until they reached Point Pleasant. After reaching the town, they discussed their encounter and suggested that it may just have been a big bird that chased them. So, to confirm that there was no monster in the dark, the decided to travel on Highway 62 again. But what they found out was that The Mothman was waiting for them, and when their headlights hit the creature, it took off vertically with great speed disappearing over the tree line. When the four returned this time, they went to the authorities and told their story to Sheriff George Johnson and Deputy Miller Hallsted who investigated the area with no luck in finding the creature. When the story was published in the local newspaper the next day, others came forward with their sightings of the mysterious and scary creature. After the second sighting, the creature was noticed by over 100 people in the next 13 months near Point Pleasant. While we can chalk up many of these incidences to fakes, but those who had seen The Mothman were said to have been harassed by Men In Black and asked not to publicize the creature further. This was not the end of the sighting of The Mothman as it’s been seen in various locations, including overseas like a mine near Freiburg, Germany. Here, the creature scared off miners not long before the mine collapsed without reason. The Mothman has also visited Russia as the sighting of The Mothman has been made before the nuclear meltdown of the Chernobyl Nuclear Plant. There have also been photos taken of The Mothman near the Twin Towers a month before the 9/11 terrorist attack as well as sightings of the creature before the collapse of the I-35W Bridge in Minnesota. Some say that The Mothman comes to warn of disasters while others claim that The Mothman brings the disaster with it. Either way, The Mothman has made its impact on us, so much so that there is a Mothman Festival held in Downtown Point Pleasant every September. 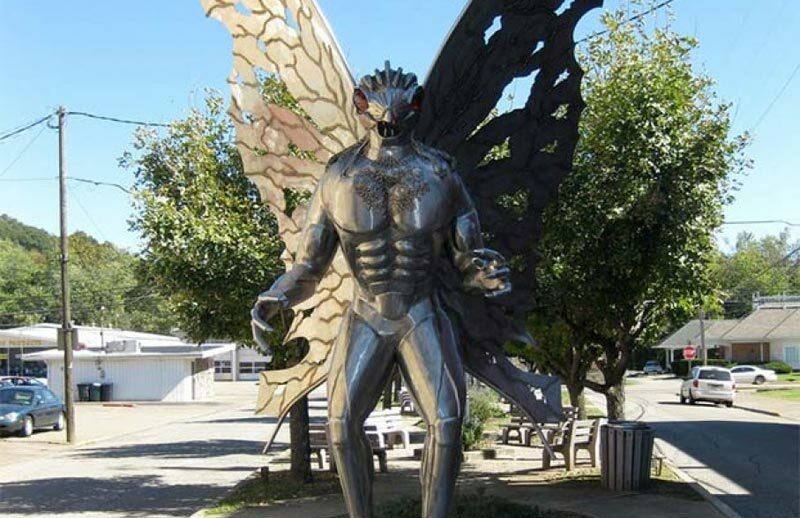 There is also The Mothman Museum and The Mothman Statue for visitors to visit and view. The big question that everyone has is whether we should believe these stories or not? John Keel, who was one of the first persons to see The Mothman has a book which provides more details on this.